Stereo Vinyl LP! Limited Edition! 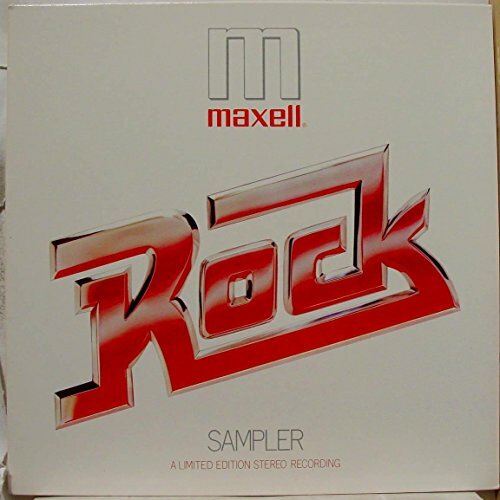 Maxell Rock Sampler! TRACKS: A1. Blinding Light Show / Moonchild - Triumph; A2. It Feels So Good - Starbuck; A3. Deadly Nightshade - The Strawbs; A4. Take Time - Rufus & Chaka Khan; B1. Easy Come, Easy Go / Hold De Mota Down - Odyssey; B2. What's It All For - Omaha Sheriff; B3. August Day - Daryl Hall & John Oates; B4. Sho Nuff Groove - Harvey Mason; & B5. Genesis, Chapter 1, Verse 32 - The Alan Parsons Project.